During a 403-game career with Richmond between 1965 and 1983, including 27 finals, Bartlett was a highly skilful rover and goalkicker with evasiveness and stamina. He was a key figure in the glory era that saw the Tigers win four premierships in eight years from 1967-74. The man known as "KB" was the first player to reach the rare 400-game milestone, with only Hawthorn's Michael Tuck, Essendon's Dustin Fletcher and North Melbourne's Brent Harvey having since achieved the feat. He won five club best and fairest awards, three of them in premiership years, as well as the Norm Smith Medal for the best afield in the 1980 VFL Grand Final. He also coached the Tigers for four seasons (1988-91). Bartlett's 778 career goals tally is still the 12th highest in VFL/AFL history. He kicked 379 of them at the MCG, a then record at the venue that has since only been surpassed by Matthew Richardson (464), Matthew Lloyd (461), David Neitz (386) and Wayne Carey (380). He also played more VFL/AFL games at the MCG (200) than any other player. 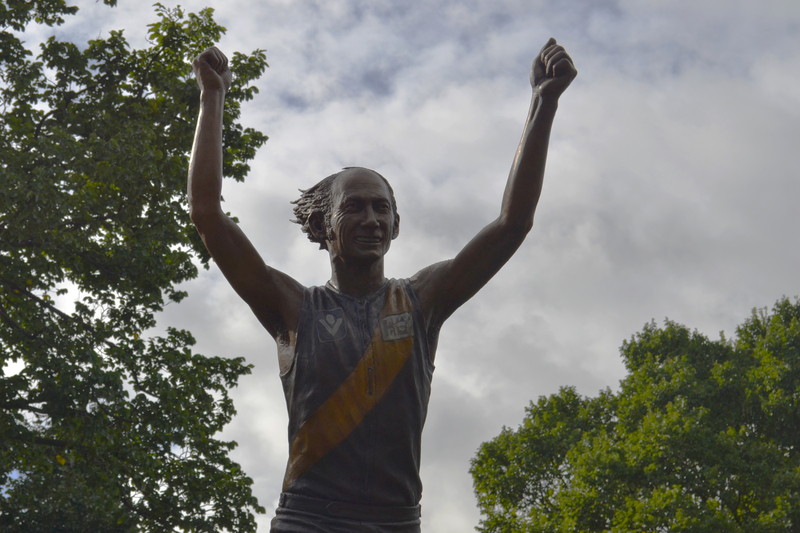 He has been granted Legend status in the Australian Football Hall of Fame, is an Immortal in the Richmond Football Club Hall of Fame and was selected in Richmond's Team of the Century. He has also been inducted into the Sport Australia Hall of Fame. Bartlett's passion for the game has not waned since he hung up the playing boots. In addition to being a popular football media personality, he has served as an Australian Football Hall of Fame selector, an All Australian team selector and member of the AFL Laws of the Game committee.